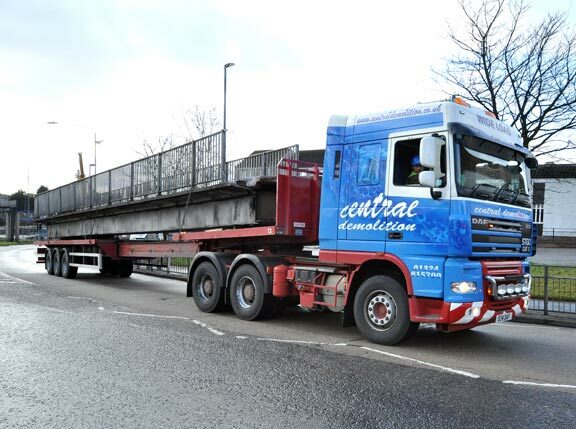 Further to previous successful infrastructure demolitions, we were awarded the contract for the demolition of the footbridge located at Bank Street in Alexandria by West Dunbartonshire Council. 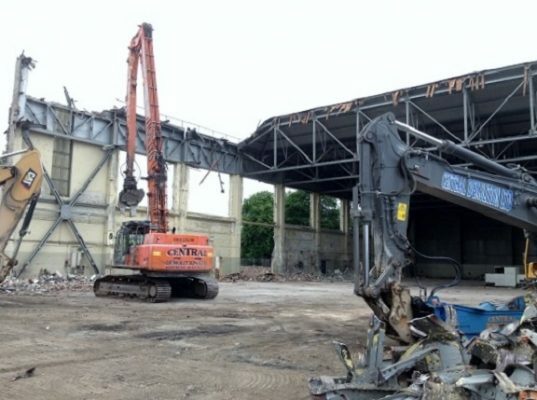 The contract had a 3 week duration for all demolition works, with the main works being carried out at weekends. 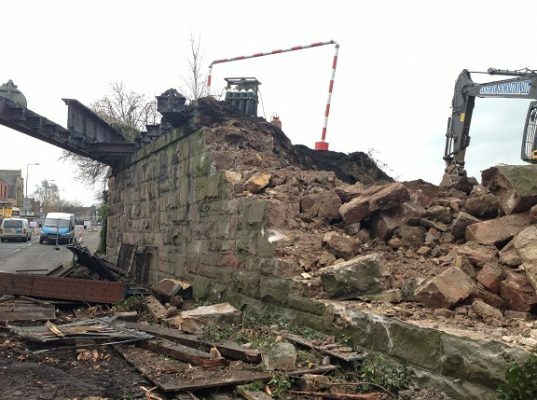 The scope of works incorporated the demolition of the footbridge and the removal of all masonry and concrete materials off site. All structures were to be demolished but the foundations were not to be removed. A comprehensive traffic management plan was designed and implemented in conjunction with a specialist traffic management contractor. These plans included full and partial road closures, traffic diversions, the closure of a bus stop and lane, pedestrian route creation and full route signage. Due to the busy central location of the footbridge disruption was unfortunately unavoidable. However, we altered our working patterns and liaised regularly with all those affected by our works to keep them well-informed and maintain good relations. We cut the bridge into sections to facilitate removal. Working in partnership with a specialist crane contractor, a well-prepared lifting plan was designed and successfully executed. 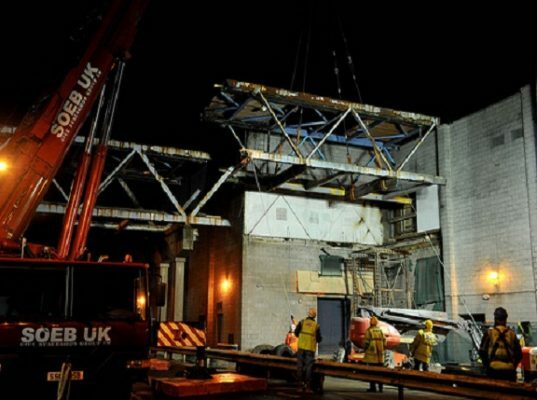 Comprehensive risk assessments were undertaken and preventative actions implemented, including the issue of mandatory personal protective equipment (PPE) and the setting of minimum training requirements for those involved in carrying out the works. Our experienced team on-site included a supervisor, burner, banksman and operatives. All team members had two site inductions and were issued with the mandatory PPE to be worn at all times – as identified in the risk assessments. 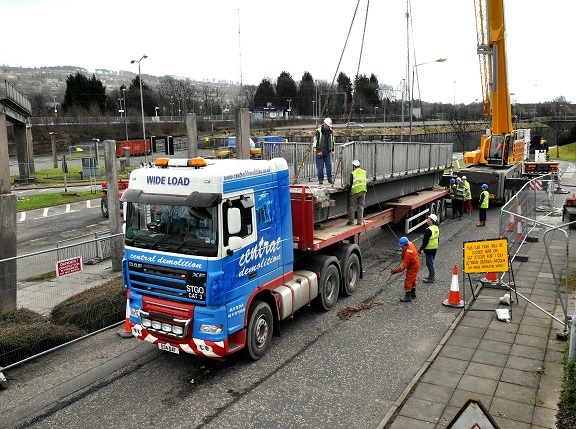 Our specialist crane contractor used a 50ton mobile crane to carefully lift each section of the footbridge, with our operatives gradually and safely detaching each part of the bridge in preparation. Upon removal, the materials were loaded onto a low loader. A designated laydown area was created at the nearby high level car park opposite the railway. All materials were transported here for processing in preparation for removal off-site for recycling. 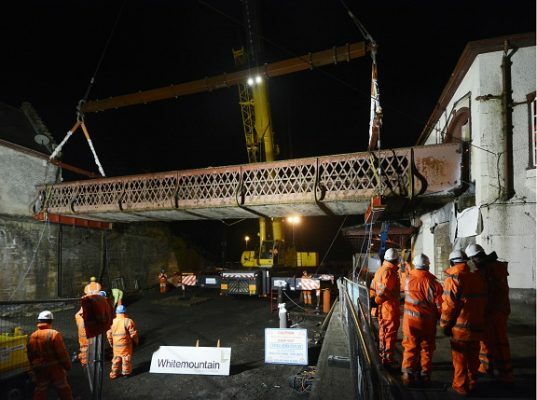 In conjunction with the crane removing the necessary sections of the footbridge, we deployed one of our 40 tonne hydraulic excavators which was used to munch the support columns down and to break out the concrete pedestrian ramps. Again the materials arising were transported to the high level car park for processing prior to recycling. Further to completion of all works the site was left neat and tidy and the surrounding area reopened. This particular project was not without its challenges. As mentioned previously, disruption to surrounding transit routes was unavoidable – but this was well-managed. Due to the busy location of the works, there were inherent risks to the public – but our comprehensive H&S plans, use of a banksman, full traffic management and construction of Heras fencing with warning signs affixed allowed us to keep everyone safe. In addition, the volume of dust generated at the site was potentially problematic. However, we actively used dust suppression methods to dampen down a high proportion of the dust and fine particles arising. These challenges were well-managed by our team and our sub-contractors, leading to an incident free and successfully completed project. As our strapline promises, this project was completed safely, on time and within budget. 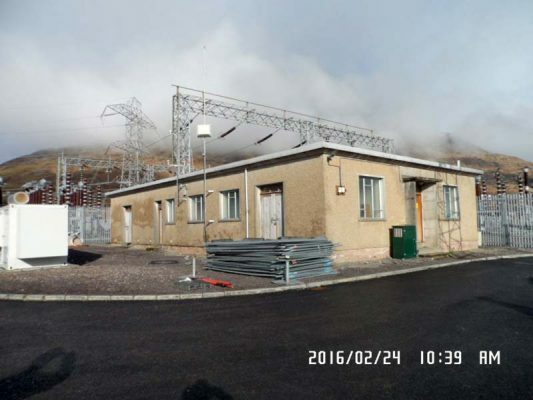 We forged a strong relationship with clients West Dunbartonshire Council as a result.